It was a lovely cool day earlier this week, it was raining most of the morning and by the time we took these photos the sun was trying to peak through. I have been so curious about these Voodoo Vixen pants since I first saw the preview and I was excited to check them out. I expected them to be a bit bigger on myself as there is no extra small and as predicated they are a bit roomy on me, which I don't mind. But I think I will take them in come Autumn when I will be wearing them a lot. There is two inches or so extra room in the waist and the hips are a little spacious too, I still think they look great and have a nice fit. These trousers also have pockets and the houndstooth fabric is really lovely. The Sophie top is another classic piece from Voodoo Vixen's latest collection, this also sits a bit large on me, mainly in the arms and waist, but it's one of those reliable tops you can chuck on with anything and still look put together. The interesting neckline and the soft fabric makes it a great addition to my wardrobe. I love purses and Vendula London has so many cute designs but this Golden Drips purse really caught my eye. It is actually a beautiful Burgundy colour though the overcast lighting only allowed the true colour in one photo. Though I think it's kind of cool how it can look darker depending on the light. 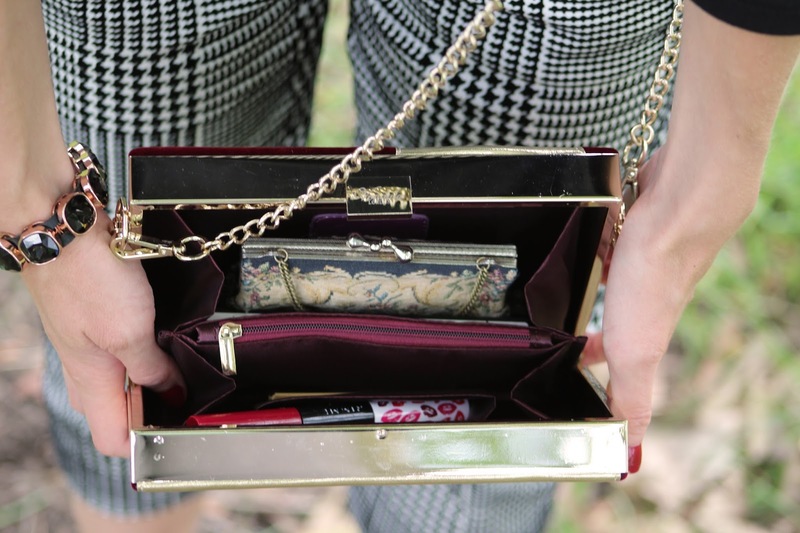 It also has plenty of room for my phone, cards, coins in the middle and lipstick etc. The chain is also removable too and it comes with a dust bag. I hope that everyone had a great New Years Eve, I sat in my Barbie Pyjamas at home watching DVDs and fell asleep soon after midnight haha! 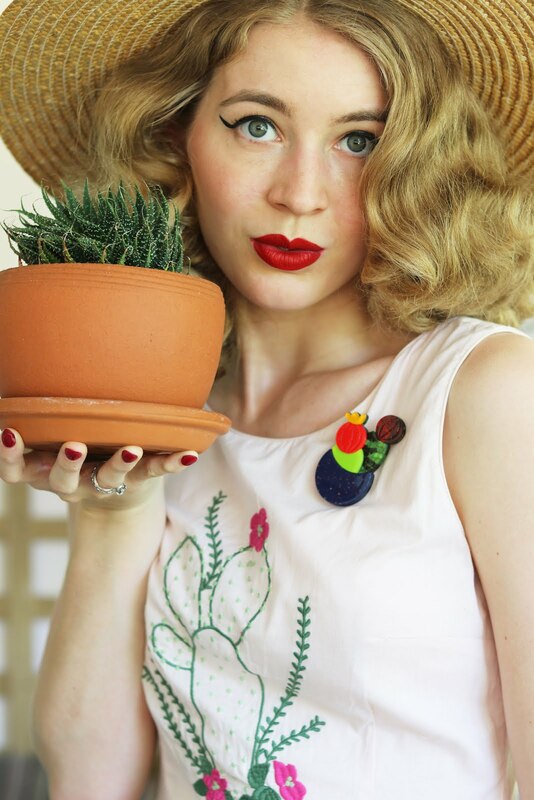 I am also excited to announce that I am part of the Unique Vintage Style Society! For the next three months I will be blogging and featuring beautiful pieces by UV and I am so proud to be working with them. 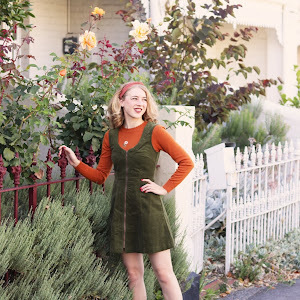 Check out their blog post for an introduction with the other wonderful Style Society Bloggers here. Absolutely everything about your outfit works!!! You have a real eye for putting clothes together, never something I can do! Everything about this outfit is absolutely stunning! I adore your trousers. And your hair as usual. :) Have a wonderful first week of 2016! Linda e elegante, amei o look. Congratulations on becoming part of UVs style society, that is so exciting and I can't wait to see more posts! These pants are amazing on you, and you look gorgeous as usual! Your hair is officially spectacular here! Such bouncy volume, such perfect waves, and such pretty hues. Hair swoon! Your ensemble is tops, too, very much including that cooler-than-cool purse. You look dreamy! Is your hair just slightly pink, or am I imagining things? Either way, I love the outfit, and I'm absolutely dying over the bag! Great casual outfit. I always get distract by pretty things that are really only for special occasions and I can only wear occasionally, where a nice casual outfit gets everyday wear. I definitely can't tell it's too big, just a relaxed fit. Very chic! Love this look on you! So sophisticated and classic!